I was perusing the aisles of Boots and came across the Mavala stand a while ago, and being the huge nail polish addict that I am (and having never tried a Mavala polish before), I really wanted to try one of their nail polishes. I was immediately drawn to Shimmer Violet. It’s a beautiful grey-toned metallic violet that is elegantly unusual. I love discovering shades that are entirely different to anything I own already or have come across before and Mavala Shimmer Violet is just that. Mavala polishes come in tiny (but really rather cute!) bottles that contain just 5ml of nail polish (most polishes contain double that). The brush is also quite small which I quite like as it makes application more accurate. 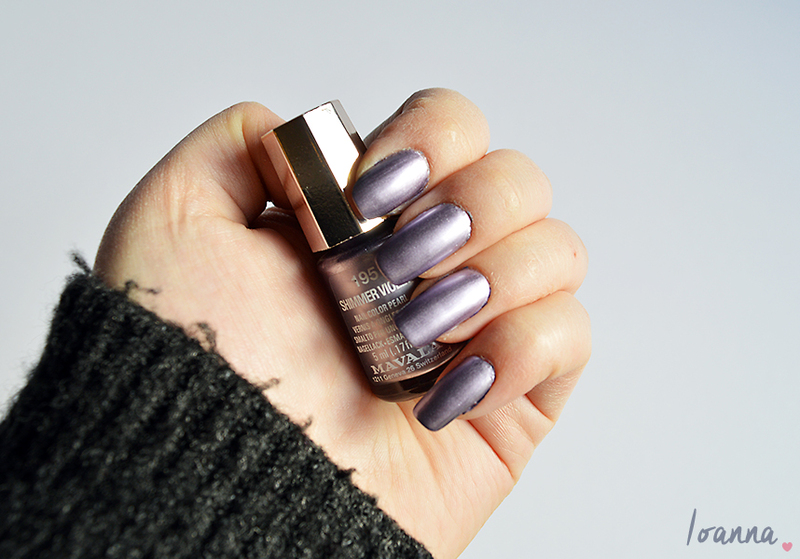 Shimmer Violet applied easily and evenly with 2 coats, 1 coat was a little streaky so I would definitely recommend 2 coats for full opacity and the perfect finish. I’ll certainly be trying some more Mavala polishes in the future. 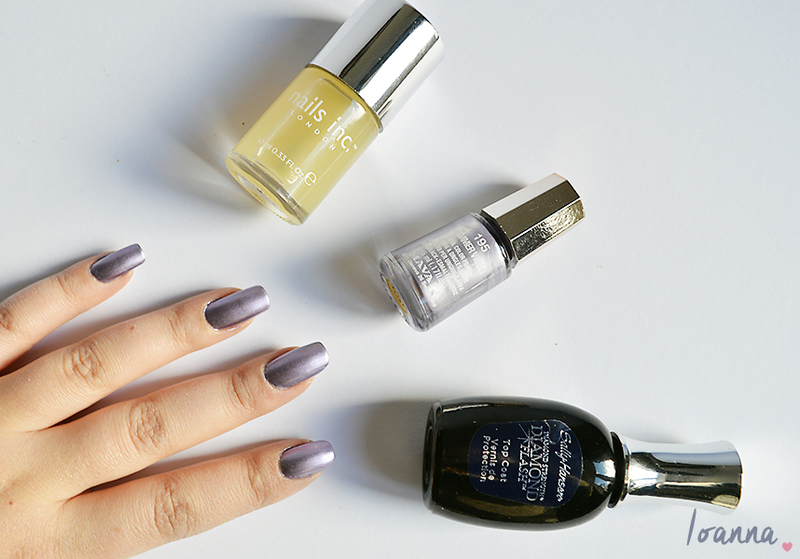 What is your favourite Mavala polish?